SNCF will be experimenting with remote controlled freight trains in 2019. Credit: Thomas Wolf/Wikimedia. SNCF has said that the first semi-automated train will run on France’s railway network in 2022. In a bid to improve capacity, the train company is working with partners to establish ways of automating certain train functions, such as speed. The company said that completely automated trains cannot exist on the railway because – unlike subways – trains do not run on closed tracks and a human presence is required to adjust driving behaviour in the event of difficult weather conditions, for example. SNCF is currently working with Alstom and the Institute for Technological Research SystemX to develop a system that relies on a combination of sensors, cameras and radars to detect obstacles and signalling. Experiments on remote-controlled freight trains will take place in 2019. Freight trains and the regional express TER trains will be partially automated in 2021 when they travel to and from maintenance depots. In 2022, the extension of the RER E line on SNCF’s Transilien regional train network will open and the section between Nanterre and Rosa-Park will be semi-automated. This will be the first automated system permitted on the national rail network according to SNCF. In 2023, the first semi-automated trains on France’s intercity high-speed service (TGVs) will run on dedicated tracks to improve the frequency of train services. These will increase the number of trains on the Paris-Lyon line by 25 per cent. 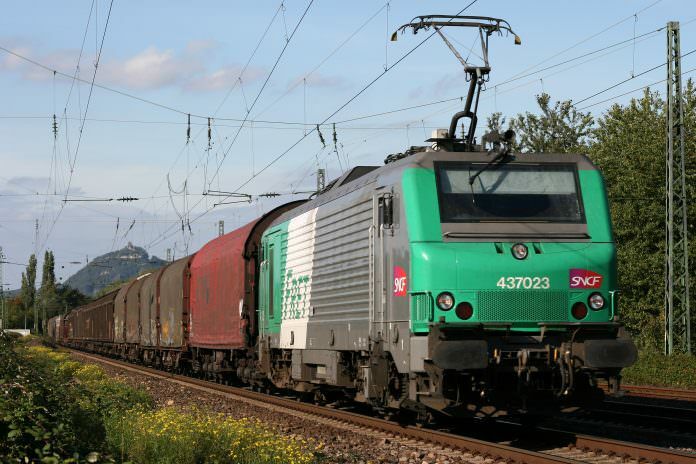 SNCF chairman Guillaume Pepy added: “The first challenge is to increase line capacity – not to dispense with drivers. Automation will be used to optimise train running speeds. “Consider the motorway: when everyone is travelling at the perfect speed, the flow of traffic is much smoother.